Ole Gunnar Solskjaer accepts ‘there is a reason’ why Mauricio Pochettino is being linked with the Manchester United job next summer as he prepares to take on the Tottenham boss at Wembley on Sunday. 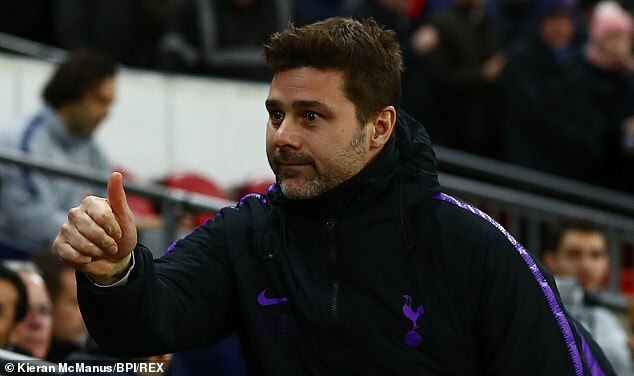 While caretaker manager Solskjaer wants to convince the Old Trafford hierarchy to hand him the role permanently after five straight wins in charge, Pochettino continues to be touted as the favourite. The Norwegian hopes to cut the 10-point gap between United and Spurs as he chases a top-four place, by masterminding a first away win over their opponents since 2012. He confirmed that Paul Pogba will be available after recovering from a leg injury on the club’s warm-weather training camp in Dubai this week. 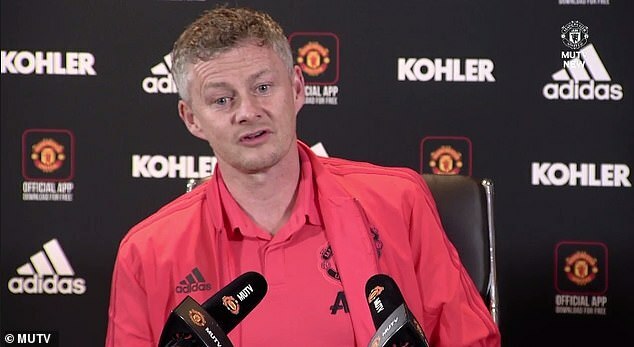 ‘He looked okay towards the end so he’ll be fit,’ said Solskjaer. ‘He did have some problems but came through the last couple of sessions well. ‘We’ve had tests. Newcastle away is a test and the first game (at Cardiff) how everyone reacted is a test. The first home game with the crowd is a test. Every single game you get tested, but this is against top, top side. If we want to go closer and get past them, we need a good performance and a good result. ‘You always adapt to any opponent. They are one of best in the league so we have to be aware of their strengths. But we need to attack teams, that is our strength – going forward, attacking. We have to. Asked how United plan to contain Harry Kane, he added: ‘He’s not bad is he? He is a fantastic goal scorer and one of the best in the world, but I have got a couple that I’m happy to work with. Solskjaer believes United are moving towards the style he wants following his five games and the short break in Dubai. ‘Every single day and every single game will get us closer and we will get more understanding about how we want to play,’ he added. ‘The last five games haven’t been too bad but there is always things to work on; the relationship between players, the cohesion and the understanding, so hopefully we will see a positive team. 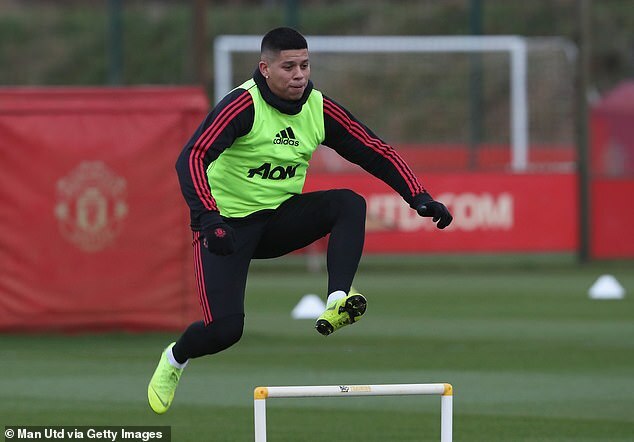 Meanwhile, the United boss revealed that Marcos Rojo has returned to Argentina as he continues to recover from a leg injury that has kept him out for the last month.